On the seventh day of gifting my true love gave to me… a baby mama! This holiday season this new mom has quite a lot on her plate. Between keeping up with holiday festivities and keep up with her little ones frocking about, she certainly has her hands full. 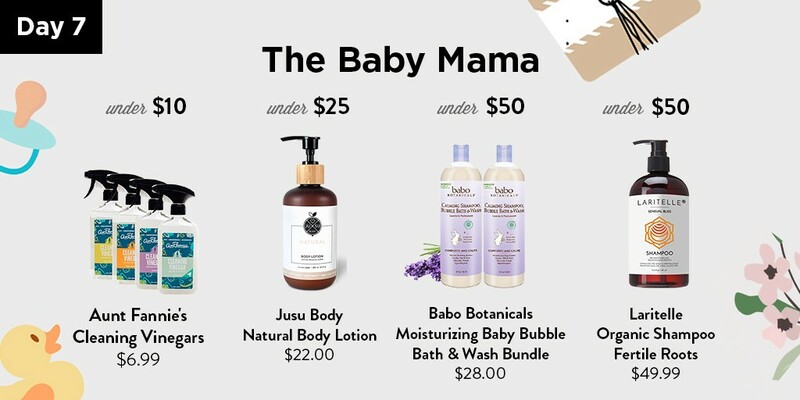 Treat her to these non-toxic gifts she will certainly love and appreciate.